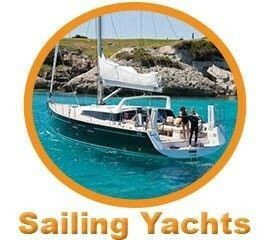 Europ-yacths.com is one the premier and Luxury Yacht charter company where we specialize in providing all your yacht requests, whether it may be the finest luxury yacht or an economical yacht requirement, we deal with all and satisfy our clients based on the needs by providing them customized prices and plans. Diving, sea-cycling, sailing, water-skiing, surfing, kayak, and fishing some of the activities that can you can indulge in after anchoring your yacht in the shores. Bareboat yacht charter Greece is one of our unique service offerings specially targeted at voyagers who wish to go solo. For family vacationers there is no better option than opting for Greece luxury yacht charter, as luxury can be enjoyed through our range of services. Serving holiday goers and vacationers with yacht charter in Greece is in addition to our acclaimed service offering yacht charter Greece. For affluent individuals and groups who want to spend their holidays on a Luxury MegaYacht, we offer fully crewed yacht charter service. EYC large fleet includes top selected yachts from renowned manufacturers. Our luxury super yachts are available only in all inclusive form, and are aimed at those wanting the ultimate in comfort and extravagance. Europe Yachts Charter also offers VIP Service from organizing private jet, helicopter or boat transfers to private concierge. Yacht prices ranging from 1,000 € for small sailing boat, 8,000 € for mid size catamaran charter to over 500,000 € for mega luxury yacht in Greece. You would like to take your family or friends for a cruising vacation? We recommend our crewed yacht charter Greece service for exploring the Greek islands and enjoy the professional service rendered by our crew. Generally, Greek islands are clustered into four groups namely Argo-Saronic Islands, Cyclades, North Aegean islands and Sporades. The Argo-saronic islands are located in the central part of Agean Sea and are known for clear blue seas. Rent a sailing yacht charter Greece and spend your vacation in the islands of Hydra, Aegina and the idyllic nature gems of Poros and Spetses. Most popular cruising area in Greece is definitely Cyclades with its with its lovely white houses, clear blue sea and 200 islands scattered across the southeast Aegean Sea. Due to strong Meltemi wind in other periods, the best time to rent a yacht in the Cyclades is June and first part of July. Make sure to include islands of natural beauty such as Paros, Santorini, Mykonos and Naxos in your itinerary. Islands clustered under Sporades have blue-green seas which is the reflection of pine trees standing on the shore. The islands are Skiathos, Alonissos, Skopelos and Skyros. We recommend vacationers on a leisure cruising trip to discover the beauty of Sporades Islands through skippered yacht charter Greece. Crete is an island known for rich cultural significance and welcoming nature of the people. 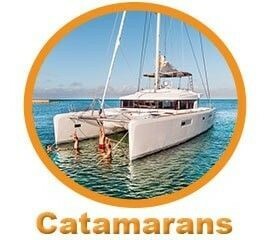 Embark on a cruising journey in crete island through catamaran charter Greece and explore its beauty and heritage. Through sailing yacht charter Greece, exploring the beautiful islands like Crofu, and Lefkas is definitely a treat on our senses. If you wish to experience adrenaline rush during your cruising opt for motor yacht charter Greece service. 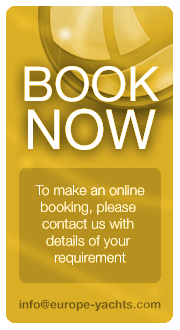 If you are thinking of chartering a yacht the same way you rent a car? Then bareboat yacht charter Greece is the right choice for you. Customers who are more inclined towards solo cruising and love to explore the sea alone can avail this service. This is in stark contrast to private yacht charter Greece and Greece luxury yacht charter. With bareboat yacht charter, the charterer is given the full control of the vessel along with other responsibilities. The charterer is provisioned with an option to choose its own yacht and enjoy the full experience of Greek sailing holidays. We accept wide range of personal day skipper licenses. Why crewed yacht charter Greece is most preferred by family vacationers? If you would like to have a peace of mind, and not worry about the yacht, have one of our experienced skippers do that for you. When you are cruising along with your family, you expect to enjoy your time together without need to worry about the maintaining the boat. And that too, in yacht charter Greece cruising sojourn, you won’t be having that luxury to divert your attention to involve in self-service, since every moment of sightseeing is highly precious in richness. 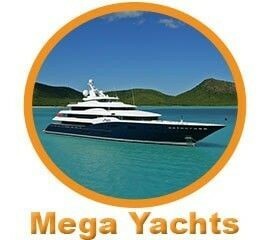 At europe-yachts.com, we have many such crewed yachts for rent. And our chefs have mastered the art of cooking some of the delicious and finest Mediterranean cuisines. To render our other service on board the sailing charter Greece, we would be deploying a professional team with rich expertise. With the best of crew to serve you effectively, we strive to ensure your sailing yacht charter Greece a great and satisfied experience. Greece is synonymous with islands, thus it’s no wonder that Yacht Charter is favorite way of discovering this country of unparalleled beauty. Almost 6,000 islands and islets of various sizes adorn wonderful Greek landscape. World famous endless coastline and its untouched gems will invite you to rent luxurious yacht and embark on a sailing holidays of a lifetime. Beyond sun and sea, tourism is the essential part of Greek identity, nowadays and into the future. The number of international tourist constantly increases. Sailing in Greece is very desirable activity that should be accompanied with knowledge of local weather. Although summers are mostly sunny and warm with very little rainfall, it can sometimes be quite windy. For this reason, Saronic Gulf area and its islands are considered to be best choice for beginners and not experienced sailors. While Cyclades are more for advanced sailing and experienced sailors. Weather forecasts can be found on:www.hnms.gr www.poseidon.hcmr.gr www.windfinder.comMake sure to check the weather forecast before you go on sailing holidays in Greece! Getting around mainland Greece is easy, with network of bus lines and trains. Taxi transfer is also good way to get from one spot to another, and relatively cheap. To reach the islands, there is extensive network of ferries.